Going to the theatre is about much more than entertainment. A good show will move you, take you to a different place and make you think about your life through a different lens. But where are the best places to go to catch a theatre show in the UK? We’ve rounded up some of the best below. 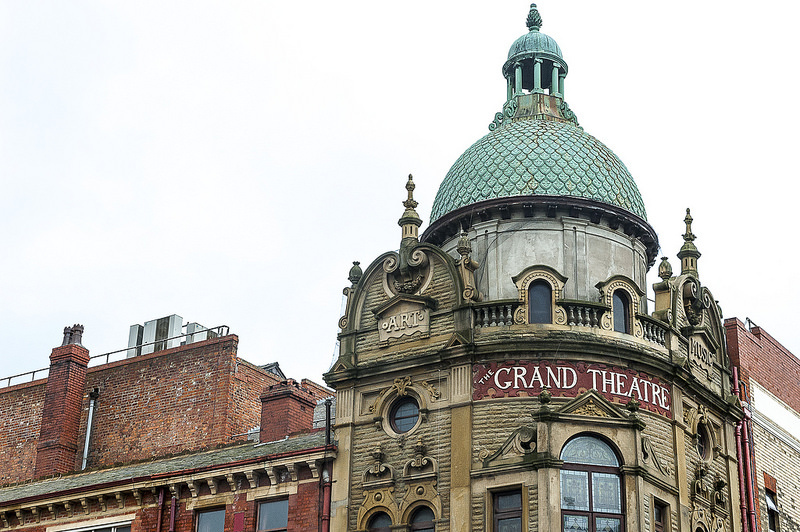 Blackpool is home to The Grand Theatre, Blackpool Opera House and Winter Gardens, all regularly playing host to some of the biggest touring theatre shows, such as The Railway Children, Sister Act and Hairspray. What makes Blackpool so special is that, as well as its historic theatres, the town is home to a whole host of exciting activities, meaning that you can make your theatre show part of a weekend getaway. Plus, when you book a Blackpool bed and breakfast through a price comparison website like Toprooms, you’ll save money and won’t have to worry about getting a taxi back to your accommodation after the show. How could we write a list of the best places to see a theatre show without mentioning the West End? London is home to some of the world’s most popular shows, with more than fourteen million people attending a show in the capital last year. Les Miserables, The Phantom of the Opera, Mamma Mia!, Disney’s The Lion King and Wicked are the five longest-running West End musicals currently running, while The Mousetrap is the longest-running overall with more than 26,000 performances since 1952. Manchester is the capital of the north, home to thousands of productions a year. 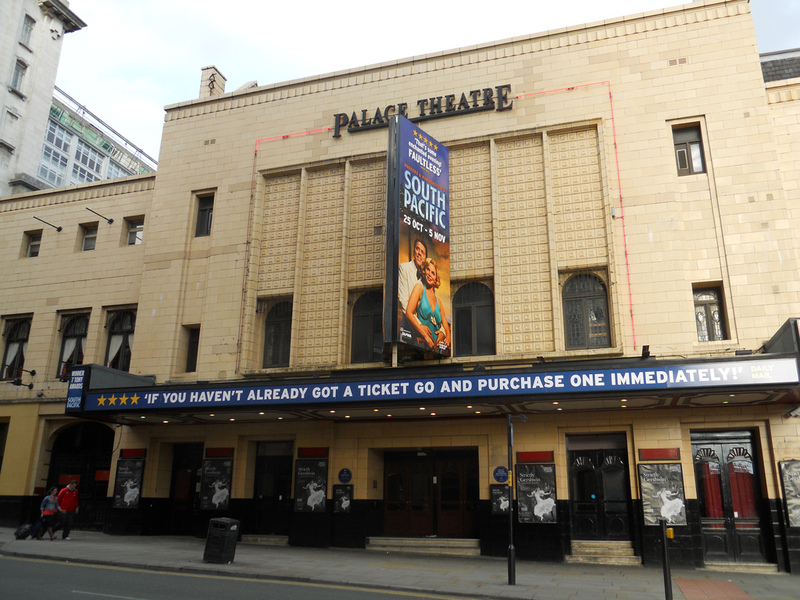 The Palace Theatre attracts big-name productions such as Sister Act, Wicked and Dirty Dancing, while the Royal Exchange, The Lowry, Manchester Opera House and the Dancehouse also stage regular theatre productions throughout the year. Because of this, and its thriving nightlife, Manchester truly is one of the best places in the country to catch a theatre show. 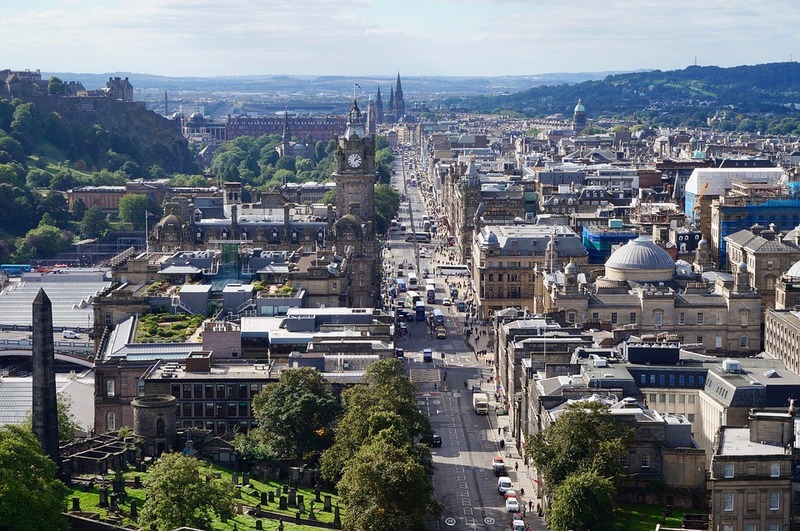 One of Scotland’s most stunning cities, Edinburgh is also home to Edinburgh Fringe, the world’s biggest arts festival that’s packed with music, dance, comedy and entertainment. The festival is home to an incredible 50,000 performances over 3,000 shows in 300 venues across the city and runs throughout August every year. If you’re looking for a unique theatre show, or you want to see comedy, cabaret, musicals, operas or spoken word, then you’re bound to find something for you at the festival. Wherever you go to find your theatre fix, you’re bound to enjoy a show that’s filled with art, power and emotion. The United Kingdom is home to thousands of talented entertainers all waiting to put on a great show, so book your seats now and consider turning your night into a weekend away to sample a new city and take in the sights while you’re at it. Enjoy! By taking a ride on the Coca-Cola London Eye at more than 400 feet above the ground, a visitor can see the British capital as birds normally see it. This world-wide famous Ferris wheel will introduce you to a city and help you to draw your personal London mind map. There are 32 save capsules that can hold about 25 people each. They take visitors for 30 minutes exciting trip. If you want some personal space, you can order a private capsule and have a romantic night with champagne and a stunning view. This museum has a lot of interesting things to satisfy your curiosity and wanderlust.Founded in the year 1973, it has been attracting millions of vacationers all over the world because of its notable collections of arts, cultures, and everything important throughout human history. Many young people also come here because it’s one of the best places to celebrate 21st birthday. If you are visiting London this year, don’t forget to come and explore this magnificent attraction. Simply going along the Themes you can find most of the iconic London attractions. First, come to the royal residence built in the mid-nineteenth century – the Buckingham Palace. Maybe you are lucky enough to see the Queen herself or other members of the royal family. The beautifully decorated State Rooms open their doors to the Palace visitors all year round, and it takes two hours to enjoy the spirit of the mighty empire. 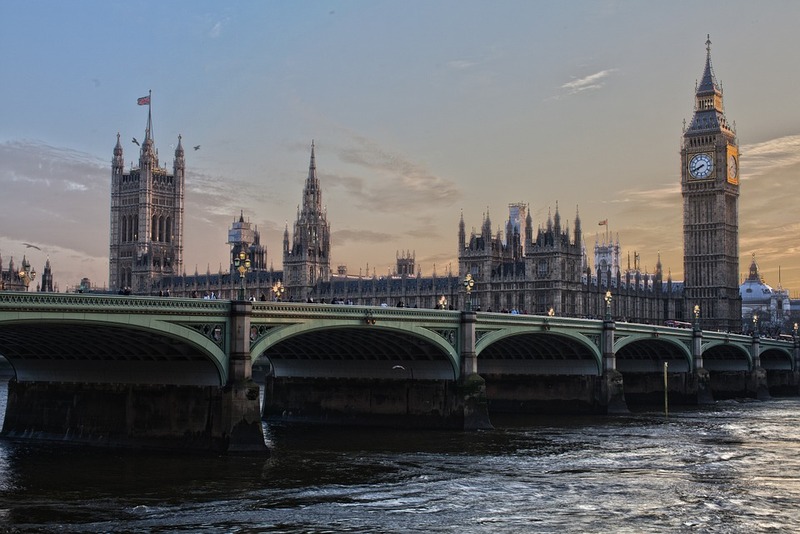 Make sure to step into Westminster Abbey, Houses of Parliament and one of the most famous British symbols – the Big Ben clock tower. Going down the river the visitors can find another well-known place, a legendary and spooky Tower with the Tower Bridge. The Tower used to be a royal palace, fortress, prison and even a royal zoo. You can spend merely a full day visiting various exhibitions and listening to the famous Beefeaters, conducting their special tours. London is full of fun family parks to any taste. Chessington World of Adventures offers all kinds of rollercoasters, a children’s zoo, and even shark sea life center, while Shrek’s Adventure! London brings to the Far Far Away Land and funny world of Shrek with his friends. There are many unique things for Harry Potter fans too. They can visit Warner Bros. Studio Tour, see how the movies were filmed, try on the magician cloak and step into the Forbidden Forest, imagining to be Hogwarts’ students themselves. This is something you definitely don’t want to miss. In fact, many tourists come to this city only for attending events. There are many great upcoming events such as Royal Opera House BP Big Screens, Pride in London, Notting Hill Carnival, Diwali Festival, Tony Robbins Firewalk event, La Clave Fest, and so many more… This city will make you feel young and alive again. London is a quite expensive city. However, if you want to find food at an affordable price, no need to search for the McDonalds to eat cheap. London is a multicultural hub, and apart from traditional British meals, you can try exclusive Indian, Korean, Malaysian, or Turkish cuisine. You can also go to one of the big city markets, for example, the Street Food Union, where visitors can feel the spirit of regular city life and find good food at budget prices. After I finished college I was lucky enough to hit the road with my buddy Lloyd Claycomb and go to see the best of what Europe had on offer for just over 3 months. Much of my time in Europe was spent in the United Kingdom and whilst that was not the original plan, I kinda fell in love with the place. A lot of people that I meet have never been to the UK and whenever they go they always ask me which are the best cities to visit. This is often a question that I am stumped with because I enjoyed so many of them. With that being said, I thought I should probably put together a list for you guys in terms of which ones were my favorites so here they are with reasons why I liked them so much. I’ll start with the heavyweight, London is crazy, it is everything you expect it to be and more and you will want to go back as soon as you have left. Hundreds of cultures smashed together with the backdrop of the very best of Great Britain is what you will find here and there is an incredible amount of variation to be found throughout the city. Whatever you’re looking for be it art, excitement, danger or beauty, you will find it here in London. 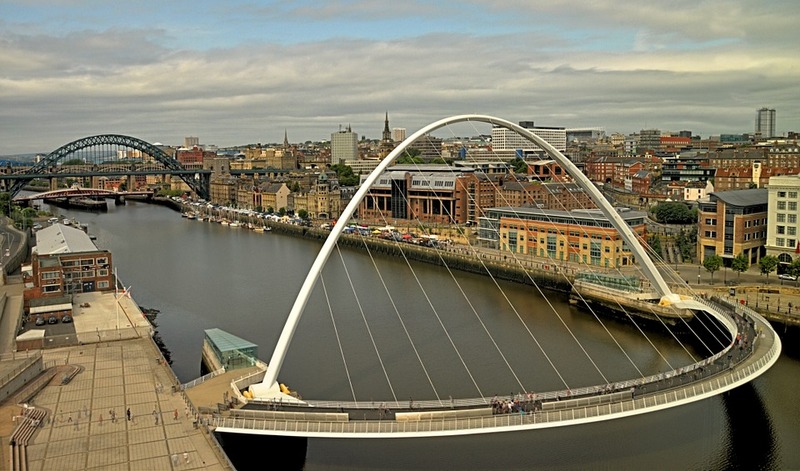 A massively underrated city in the north east of England, Newcastle is inhabited by the friendliest people that I have ever met. The city feels really compact and in the heart you will find the glorious river complete with impressive bridges which cross it. The city has a really penchant for a good time and many Brits will travel to Newcastle for its infamous night life. Here you will find a market-town on steroids as well as a whole range of things to do and attractions to see. Definitely a contender for the most beautiful city which I have ever visited, Edinburgh is the capital of Scotland and city that is bathed in countryside charm. The city is perfectly juxtaposed with the two main streets which run parallel to each other in the center of the city. Prince’s Street is the modern side of the city where you will find swanky restaurants, classy bars and plenty of locations for shopaholics to get their kicks. In contrast, the Royal Mile is the street which leads up to the ancient castle which overlooks the city and here you will find traditional Scotland in all of its charm. Tartan shops, whisky sellers and home cooked Scottish food is the order of the day here and it is the best place to get a feel of the Scottish charm. Throughout the city there are parks and green spaces and there is even a hill right in the city center just to remind you that whilst Edinburgh is a capital city, it has its roots in the green countryside of Scotland. Britain is famous for its rolling countryside, dramatic cliffs and coastline, and a culture and history spanning many thousands of years. In fact, one of its most engaging aspects is the variety available; regardless of what you’d like to do during your vacation in Britain, there’s a town, city, or quaint hamlet that will satisfy your every whim and sense of curiosity. This beautiful collection of islands, which includes Jersey, Guernsey, the Scilly Isles, the Isle of Wight, and the Isle of Man, are rife with adventure and historical discoveries – and that’s before we’ve explored the scattered Scottish islets at the country’s northernmost point. If you’re visiting Britain, you must stay over in England’s capital. 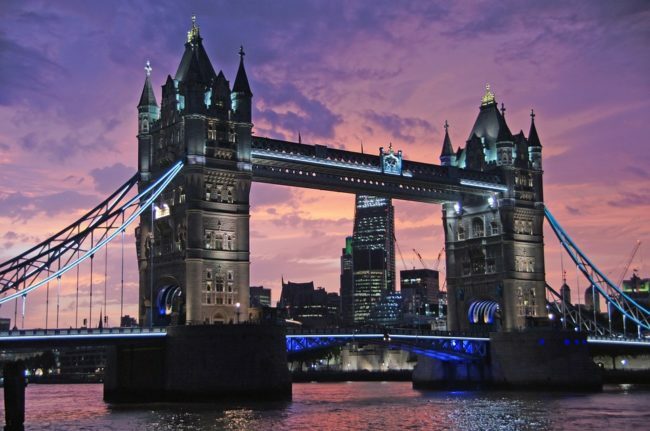 London is a vibrant, colorful metropolis that has as many bars, clubs, and restaurants as it does theatres, museums, galleries, and royal palaces. Indeed, its history is a long and varied one, dating back to the Roman era; you’ll be invited to delve into a treasure trove of stories every time you head down London’s bustling streets. The city has something for everyone, whether you’re looking for cultural experiences, tourist trails, or shopping, and while it boasts every kind of accommodation you can imagine we highly recommend booking a London vacation apartment in Camden Town. With its quirky stores, picturesque canals, and links to England’s music history, Camden is a fantastic place to start your London adventure – and what better way to see it all than from a self-catering apartment? While we’re on the subject of capital cities, Scotland’s principal city, Edinburgh, is always worth a mention – and a visit. Perhaps best known for its medieval castle, which presides over everything that happens below, Edinburgh is a city of rich culture and art. Here you will discover remarkable architecture, galleries and museums, theatres, and gorgeous gardens, as well as spectacular churches, a cathedral, and a zoo that houses Britain’s only pandas. The city has an array of hotels, many of which are within beautiful, historic buildings. One of the best things about Edinburgh, though, is its proximity to Scotland’s wild landscape. The Lothians, which lie just outside of the city, offer impressive scenery. If you’re anxious to see some of the rolling countryside, great lakes, and rugged mountains that Britain is so famous for, we’d suggest a trip into the Lake District. Very few places in Britain will charm you quite as much as this National Park, which is located in England’s northwest. 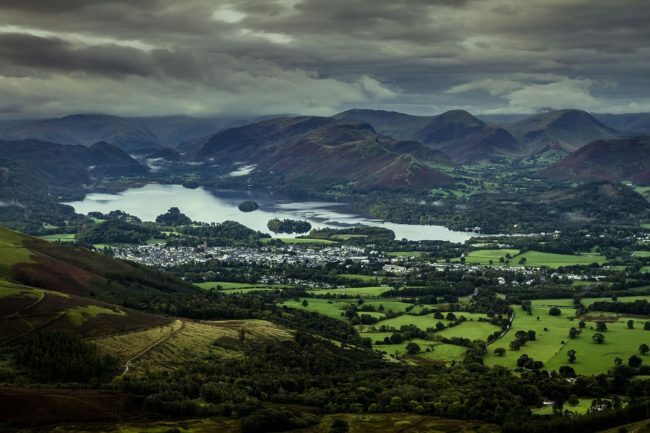 Havens for outdoorsy types, towns such as Keswick are the perfect bases from which to explore the surrounding area. Rent a picture-perfect cottage and prepare to enjoy the landscape; from Derwentwater, the Cat Bell fells, and Walla Crag fell, to Bassenthwaite Lake and Thirlmere, the countryside surrounding Keswick begs to be walked, cycled, hiked, and explored on horseback. While the Republic of Ireland hasn’t been a member of the United Kingdom since its partition from Northern Ireland in 1922, it is still a part of the British Isles. If you’re looking to get into the party spirit, immerse yourself in a literary trail, or whisk yourself away into some incredible landscapes, then Ireland is the location you’re looking for. Dublin, the country’s capital, is at the heart of the ‘craic’. Occupied by bars and restaurants, as well as museums, galleries, and libraries, Dublin is a city renowned for its hospitality, and its many opportunities for a good time; well, it is the home of Guinness stout, after all. Experience a traditional night out, Irish style, before wending your way into the Emerald Isles spectacular fields, trees, and mountains. Dublin offers some great accommodations, including self-catering apartments, hotels, and bed and breakfasts. It would be a travesty to visit Britain and not head to a traditional seaside resort; a vacation in Britain is incomplete until you’ve sampled fish and chips, spent all your money at a gaudy arcade, and taken a stroll along a pebbly beach, after all. While Britain is home to some truly spectacular seaside resorts, it’s Brighton that tourists return to time and time again. 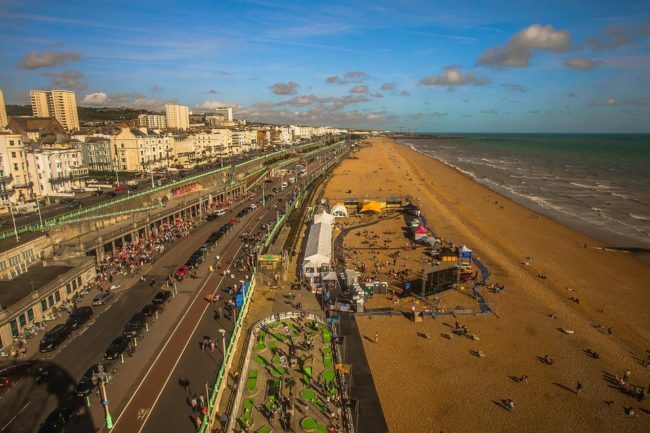 Alongside its iconic pier, which has entertained revelers since 1899, Brighton boasts eccentric independent boutiques, a thriving nightlife, theatre, music, and comedy experiences, and a long stretch of sand and shingle beach. Be sure to book a room in any of the town’s boutique bed and breakfasts for a truly authentic seaside experience. As part of our guides, looking at some of the finest, craziest, weirdest and most outlandish festivals in the World, today we are going to take a look at the Up Helly Aa festival which takes place in northern Scotland and the Shetland Islands each year. This spectacular festival of fire occurs on the last Tuesday of January and sees visitors from all over the World head to the chilly northern Scottish lands for a festival like no other. Let’s take a look at the history of the festival and a guide to what you should expect to see if you visit Up Helly Aa. The festival takes place in around 12 locations but the oldest is the Lernwick celebration, the festival was borne out of the annual Yuletide tradition of tar-barreling. This was a festivity that saw 12 barrels filled with tar being lit on fire and then dragged through the town by sledges and carried by men as they caused mischief throughout the town as people cheered, following the show, everyone would retire the public houses to continue the festivities. Tar-barreling was outlawed in 1880 and the festival of Up Helly Aa was the festival that replaced it. 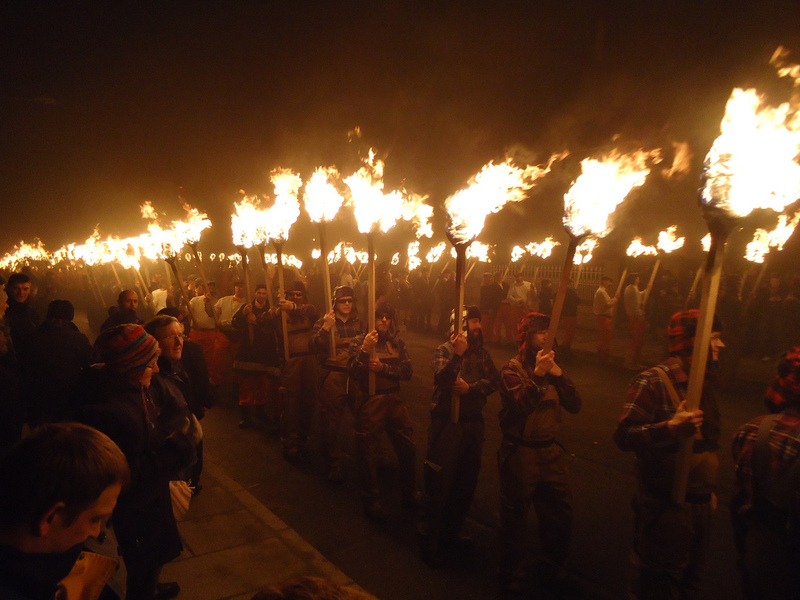 At first it was just a small torch procession but in 1882, the town of Lernwick significantly increased its procession size for the visit of the Duke of Edinburgh, from that year up to the present day, the festival has been a huge event of fire and festivities. If you want to visit the festival the here is what you can expect to see. In the morning you will see the first Jarls, these are men dressed in Viking style dress who will arrive in floats in the shape of ships. The Jarl squads will go for breakfast in the Islesburgh Community Centre before heading on to the Galley Shed and then The British Legion. The squad will march with their galley floats from the British Legion with pipe and brass bands in tow before arriving in the market cross where the Proclamation of Up Helly Aa is situated. The squads then head up to the ferry terminal where you will get a chance to take some photos of the impressive costumes and their galleys. Toast are drunk around 1030 as the bands continue playing and then the squads break off into various rooms and halls. Throughout the day you can enjoy the exhibitions that have been displayed, short movies playing, and the chance to meet some of the Jarls. Grab some food and get ready for the evening festivities. At 7pm the Jarl quads are given their torches and begin the march, led by the Guizer Jarl squad, the Guizer Jarl is the chief around here. At 730pm, a rocket is fired across the sky of the town to begin the march. The squads then march through the town singing and chanting in an impressive fiery sight. The group then culminates in the North King George V playing field, they circle the field before congregating in the centre where there is a huge galley ship. You will hear a bugle call and then witness over 1000 torches being thrown into the galley to set it on fire and then a firework display will begin. As the evening progresses you will see shows and skits taking place all over the town, drinking games, street food and dancing are all on offer for visitors in a night of raucous fun that will go well into the early hours. As expected, the following day is a public holiday so that everyone can recover from this incredible festival. Did you know that there was a festival in the UK where they chase a big ball of cheese down a hill? Well believe it or not this actually exists and if you want to see something different this year then why not head down to Gloucester in England to watch some brave souls seeking to be victorious as they look to catch the rolling cheese in one of the weirdest festivals in the World. Let’s take a look at how the Cooper Hill Cheese Festival came to being at what it comprises of. There are 2 arguments for how the event originated, the first is that it was a battle between farmers that took place each year on Whit Monday to see how would have grazing rights of the common for the summer. The second notion is that it was related to the Pagan tradition of rolling wood down the hill to celebrate the end of the winter, they also used to scatter biscuits and fruit from the top of the hill as part of the ceremony and some think that the cheese was the symbolism of this. 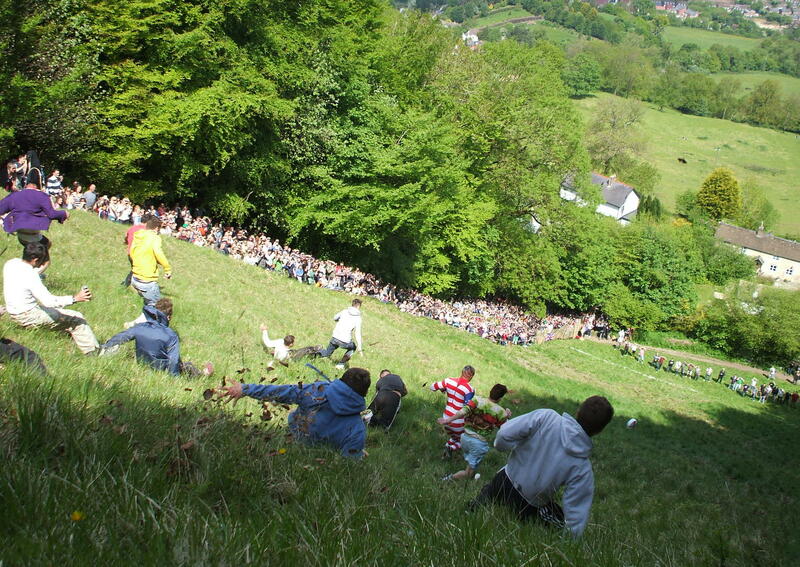 The format of the modern day cheese rolling festival is that a 9lb round of Double Gloucester cheese is rolled from the top of the hill and the competitors head off after it. Crowds line the sides of the hill and cheer the competitors on. The winner is not the person who catches the cheese as many think, but the first person to cross the finish line at the bottom, the victor will win the round of cheese. The cheese has the ability to reach speeds of up to 70km per hour so catching it is near impossible. There are two pubs close to the hill where competitors and visitors gather before the event to load up on a little courage before they face the tiresome climbing of the hill and then the treacherous race back down. This is actually an incredibly dangerous festival as the hill is extremely steep, whilst it can be humorous for onlookers to watch human bodies tumble down the hill in search of cheese, many sustain injuries that can be serious. Each year the St John’s Ambulance service will head to the event to treat injuries that are sustained from tumbling down the steep and uneven hill. If you are up for competing in this zany event or if you wish to watch it then you need to head to Brockworth in Gloucestershire on the Spring Bank Holiday Monday. The event still runs each year despite much backlash from councils who suggest that the dangers are not worth keeping up the tradition. Despite the backlash there has actually been a ‘Save the Cheese’ campaign which has been very successful. An entry fee was introduced in 2011 but quickly scrapped after many complaints from locals. This is a tradition that doesn’t look as though it is going anywhere soon so get yourself to Chase Hill this year and watch one of the weirdest festivals in the World.